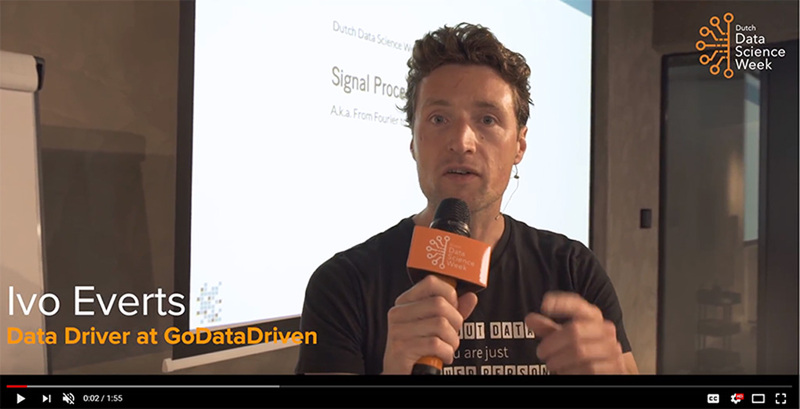 Monday of the Dutch Data Science Week 2018 with the Training Special: Signal Processing for Data Science took place, with a room full of enthusiastic data scientists. These so called signals typically need to be processed such that meaningful variables can be extracted and structured prior to further usage in data analyses and machine learning applications. Here you’ll find an overview of the day by Ivo Everts! More videos and social updates will follow on our #DDSW18 channel for the latest videos and livestreams as part of the Dutch Data Science Week 2018!